The name Al Waha means ‘The Oasis’ and the hotel has reflected this in the arrangement and design of its several swimming pools and many date palms. 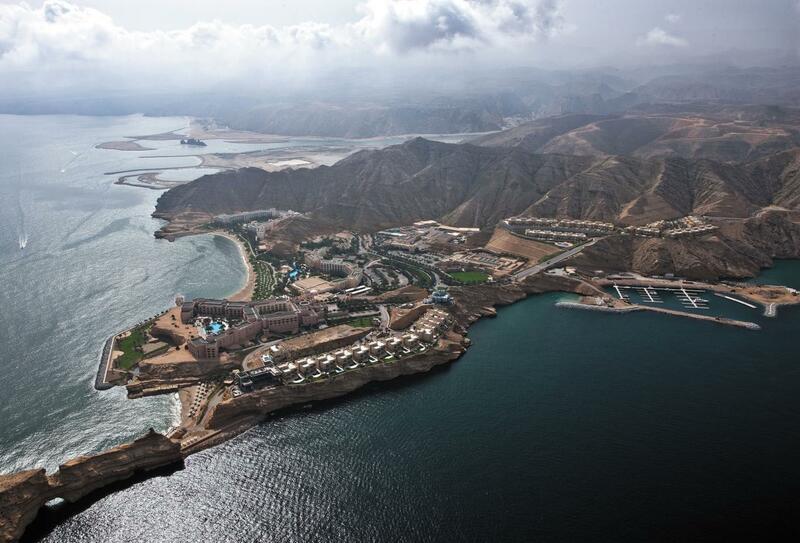 Its 124 acres is nestled at the foot of a mountain range where vehicular access is gained through a man-made tunnel to the resort which is surrounded by mountains, date palms and traditional Dhofari architecture. 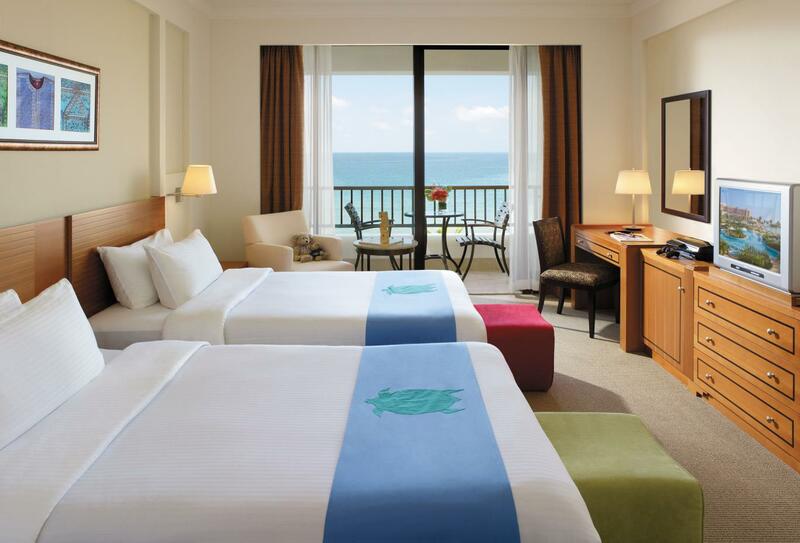 Being part of a three-hotel complex, there is a tremendous choice of both facilities and dining options. Rooms are beautifully appointed and along with the rest of the hotel have an opulent Arabian feel; Shangri-la’s Barr Al Jissah Resort & spa Al Waha would be recommended as the most suitable of the three for families with children. 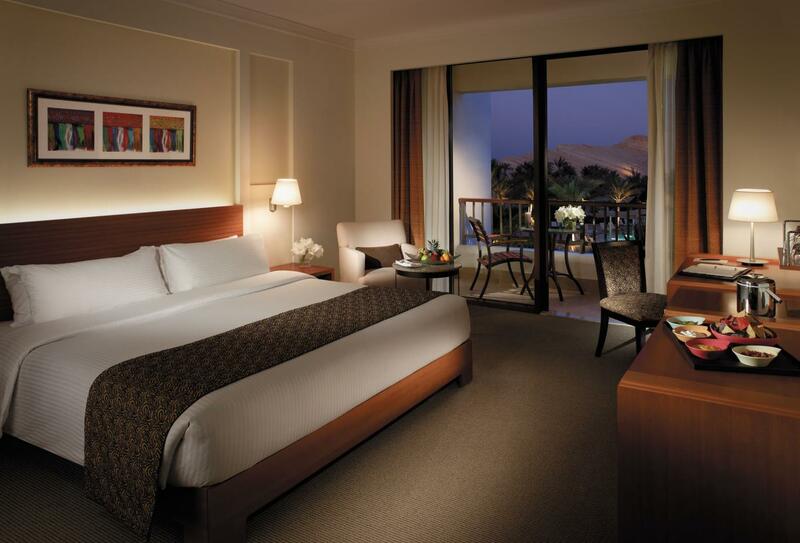 This room features either a king-size or twin beds and overlook the gardens and swimming pool. These contemporary Arabian style rooms offer Gulf views from a private patio or balcony. 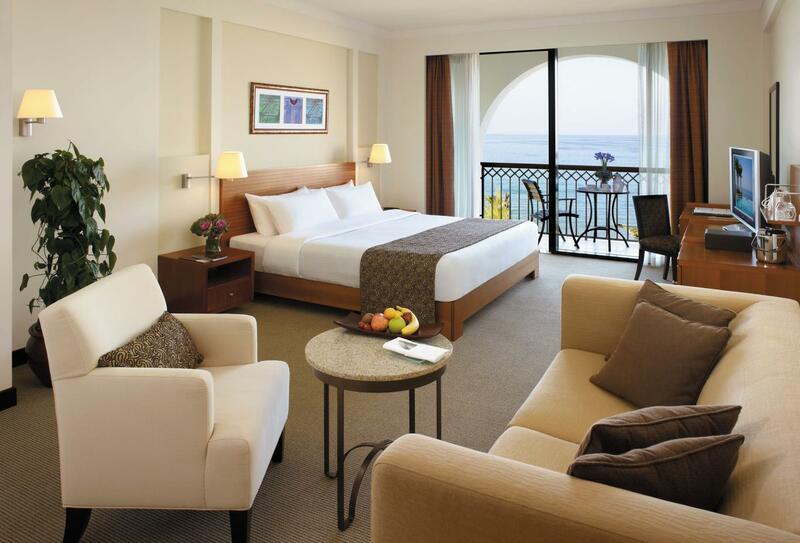 These rooms are ideal for families and groups, offering a generous living space and Gulf of Oman views. 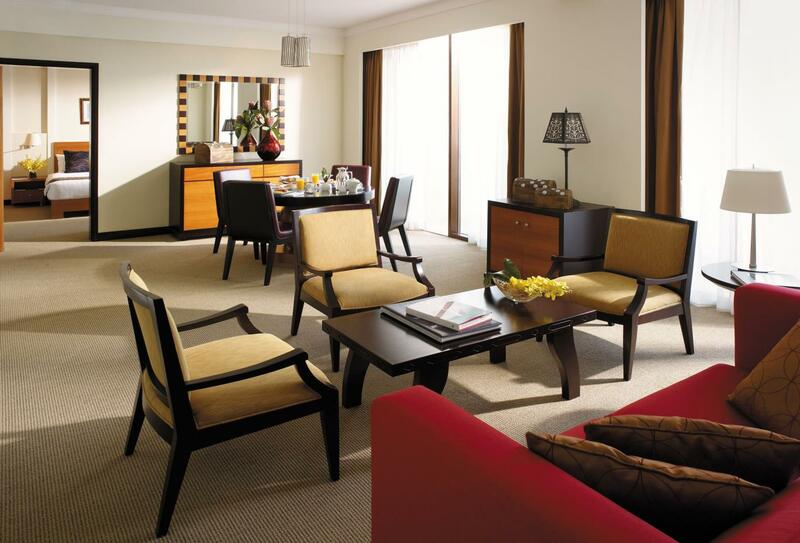 These interconnecting rooms are perfect for families offering entertainment designed especially for younger guests. 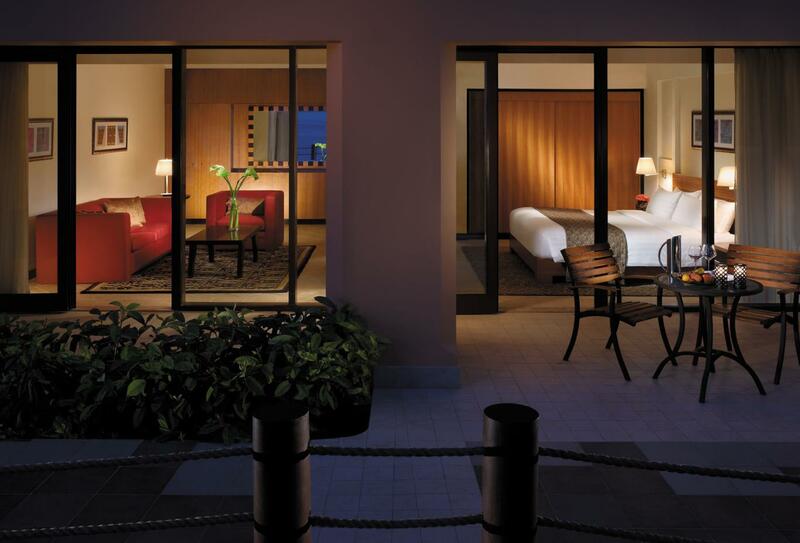 These suites offer expansive, contemporary luxury with views of the gardens, pool and towards the Gulf of Oman. These expansive suites offer state-of-the-art amenities and luxury living areas, all with views of the gardens and the Gulf of Oman. Copy of marriage certificate must be presented on arrival. Sanctuary is Shangri-La’s Care for Nature Project which offers a variety of nature activities and excursions planned and conducted with sensitivity to the region’s unique ecosystem. Included in this is the Turtle Care Project which aims to protect the endangered hawksbill and green turtles native to the beaches of Oman; a dedicated turtle ranger has been appointed to both protect the breeding grounds and offer education for visitors and locals. A retreat of personal peace and well-being, this secluded spa allows guests the enjoyment of privacy as well as extreme luxury. This calm oasis welcomes guests to its inner sanctum from where they may experience the unique CHI water oasis with vitality hydro pool and herbal steam room plus tundra and tropical showers & ice fountain. The Chinese philosophy of ch’I is the universal life force that governs well-being and personal vitality; it is believed that ch’I must flow freely through the body as ‘dis-ease’ will occur when it is blocked. 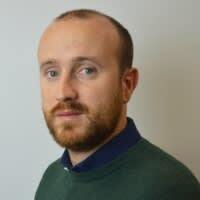 Movement and massage, exercise and meditation all play a part in this process of assisting the body maintain its flow and therefore its good health. Al Tanoor serves Mediterranean, Persian, Indian and Turkish favourites, A la carte dining is also available. Open for breakfast 06.30-11.00, lunch 12.00-15.00 & dinner 18.30-23.00. Seats 230. Authentic Italian restaurant, open 19.00-23.30. Seats 94. Situated in a piazza in the heart of the resort and serving Mediterranean and Asian tapas in addition to Middle Eastern mezze. A full beverage list and shisha selection are also available. Open 18.00-01.00. Seats 96. Situated on the ground level and offering coffee and tea. Open 18.00-02.00. Seats 85. 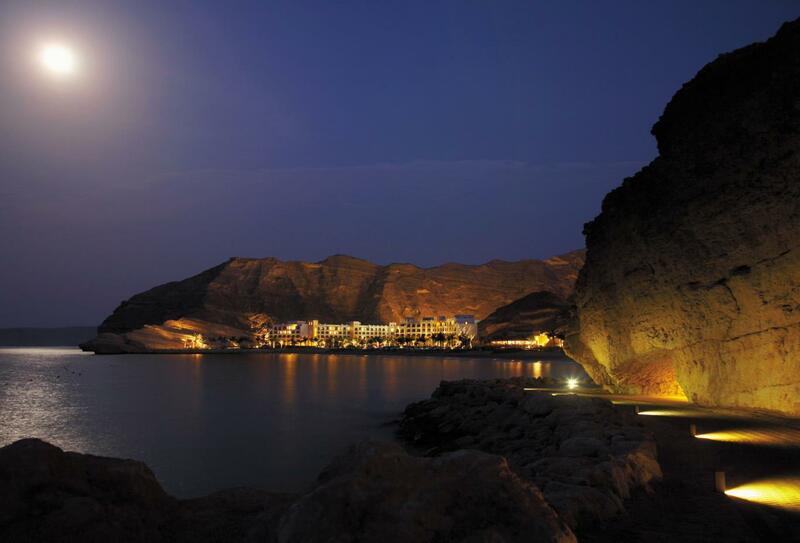 Serving pre or post dinner drinks with memorable views over the Gulf of Oman and surrounding resort.. Open 18.00-02.00. Seats 80. Situated on the lobby level making it convenient for snacks and beverages at any time of day. Open 08.00-12.30. Dress code is smart casual. Seats 27. A popular Latin American style restaurant with cuisines from Mexico, Chile, Peru, Brazil, Argentina and Equador; dishes are prepared in an open show kitchen and there is an integral Tequila Bar. Open for breakfast 06.30-11.00, lunch 12.30-15.00 (a la carte only) & dinner 18.30-23.00. Seats 269. Combining dining with internet surfing, this fashionable café offers casual but healthy fare as well as traditional burgers and sandwiches. Open 11.00-22.00. Seats 59. Situated on the beachfront between the Al Waha and Al Bandar, this restaurant specialises in freshly prepared Omani seafood. Open 19.00-23.30. Seats 118. Situated poolside and serving light meals and snacks. Open 10.00-21.00. Seats 100. 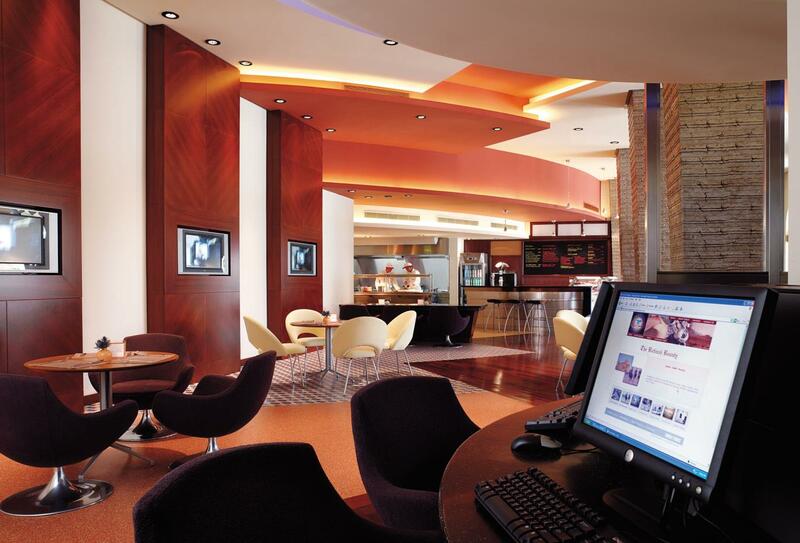 Situated on the lobby level and serving snacks and beverages. Open 08.00-12.30. Seats 40. Located at ground level in the Al Mazaar Souk and featuring Indo-Chinese, Chinese and Japanese cuisine. Seats 105. Open Wednesday-Friday 17.00-23.00. Situated in the arcade of the Al Mazaar Souk serving Arabic snacks and beverages. Open 11.00-19.00. Seats 124. Relaxing lounge perfect for pre-dinner drinks, late-night cocktails, wine and champagne. Open 17.00-01.00/02.00. Pleae note that guests must be aged over 21 after 21.00. 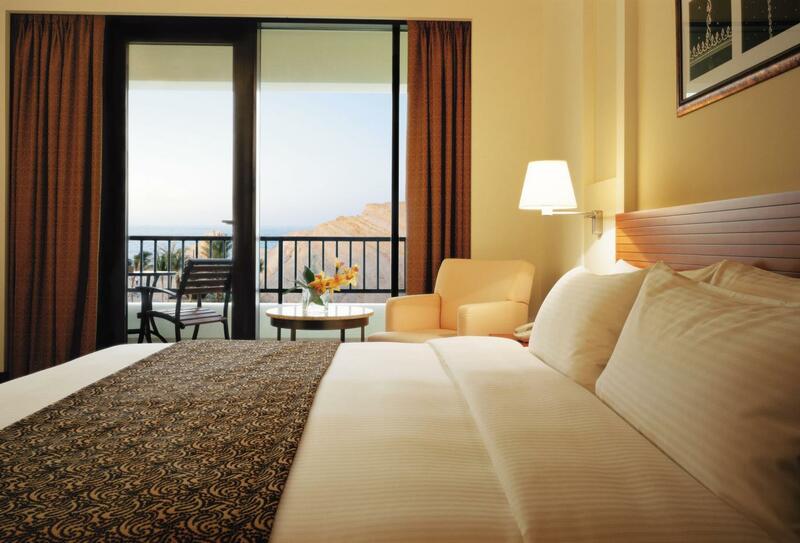 Shangri-La’s Barr Al Jissah Resort & Spa - Al Waha sits on the edge of Oman's unspoilt coastline and is 45 minutes from Seeb international airport. Shangri-La’s Barr Al Jissah Resort & Spa – Al Waha welcomes families with children of all ages and offers the following facilities and services to ensure they have an enjoyable stay. • Game room for billiards, snooker, darts, video games etc. Ages allowed: 4 – 8 (Children under 4 can attend but must be accompanied by an adult).